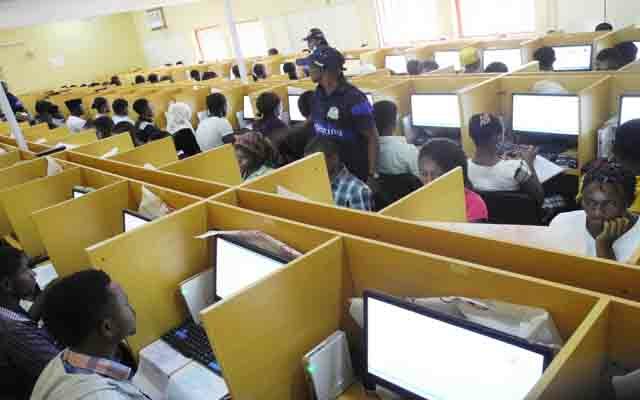 UTME candidates lauds JAMB; expresses satisfaction with African Broadband CBT Center – Royal Times of Nigeria. The Unified Tertiary Matriculation Examination, UTME, winds down at various centres with examination candidates commending the Joint Admission and Matriculation Board, JAMB, for a well organized exams. The candidates also called for the continuation of the Computer Based Test, CBT, rather than the written one. Candidates who spoke with RoyalTimes commended the African Broadband CBT centre, Ilorin, Kwara state for putting in place an impressive mechanism that enabled an examination devoid of challenges. A male candidate who preferred anonymity, commended the CBT center personnel and JAMB officials for being friendly, approachable and supportive when needed. He said the CBT system should remain, because it does not only expose the candidates, but also make Nigeria to be at par with other technologically advanced countries. Another candidate who also expressed satisfaction with the arrangement at African Broadband CBT centre, said everything went smoothly. “There was no challenge whatsoever, everything went smoothly. Even, when power supply went off, we were surprised to see the systems still running unlike where I wrote the exam last year,” he said. Another female candidate described the CBT system as the best, but called for the use of advanced calculators than the ones used by JAMB during this year’s examination.